Woolworths Group plc was a listed British company that owned the high-street retail chain, Woolworths, as well as other brands such as the entertainment distributor Entertainment UK and book and resource distributor Bertram Books. 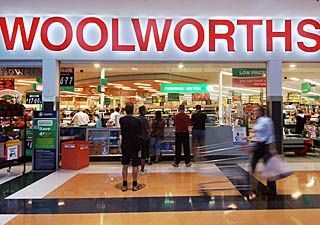 The Woolworths store chain, which had more than 800 stores at its peak, was the main enterprise of the group, selling many goods and having its own LadyBird children’s clothing ranges, Chad Valley toys and the WorthIt! value ranges. The chain was the UK’s leading supplier of Candyking “pick ‘n’ mix” sweets. It was also sometimes referred to as “Woolies” by the UK media and the general public.